I have a complete set of the magazines! Here is the mushroom tart from Oct/Nov 84… 8oz shortcrust, 2 rashers bacon, chopped, 3oz unsalted butter, 2 onions, chopped, 1 lb black (ie not button, probably portabella?) mushrooms, chopped, 1/4 pt double cream, salt and pepper.Blind-bake case in 8″ tin.Fry bacon in butter, take out and keep warm. Soften onions in it, add to bacon. Add mushrooms, cream and s&p to them, into flan case, 30 mins at reg5 190C 375F. Serve warm. There was also a Tarte aux Cepes in April/May 86. Allegedly a “classic Aquitane recipe”. Short pastry with 8oz flour and 4oz butter. 8oz cepes chopped coarsely,fry with 1 clove garlic crushed, in 2-3 tabspns sunflower oil. Take out before they brown, and allow to cool. Mix 4 yolks into 8 floz double cream, then add 1 1/2 oz flour and then the cooled cepes and 8floz milk. Line 4 x 3″ tartlet tins with the pastry, fill with the seasoned mixture, bake Reg 6 200C 400F for 25 mins. Serve w salad of radicchio and endive. Note I have double-checked and it DOES say these quantities of both milk and cream – seems a hell of a lot to me. I suspect the success of either will depend on the salt levels, and these days would there be herbs too?. Enjoy! I have just dug out the full run (I believe) of A La Carte magazine (bound) from my loft. It runs from the Oct/Nov 1984 issue to the June 1988 issue which is when I believe it disappeared from the shelves. My wife is the cook and loved reading through the recipes (and cooking many of them!) in the past – they did contain lots of magnificent recipes. However, the cookbook bookshelves got massively over loaded (the wife cannot resist a new cookbook – probably still a couple of hundred or more on the shelves)and the A La Cartes were consigned to the loft (along with the full run of the 1970’s partwork ‘The Complete Cook’ and a series of 20 Time-Life books). The Supercook partwork was saved from the loft despite falling to pieces from over use – and it is still referred to regularly! The A La Carte magazines are just about to go up on eBay and if they don’t sell they will unfortunately be going to the tip – as one gets older then minimalising must be done! I remember a superb pudding – Marbled chocolate and chestnut steamed puddy, if anyone can let me see the recipe it would be great as I now have a herd of non traditional christmas pudding eaters descending on us this year. Reading this piece has me all nostalgic for this brill magazine, what a shame i lost my copies long ago. 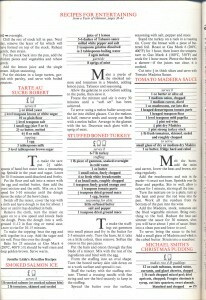 I was a keen fan of a la Carte magazine during the 1980s and would cut out and keep recipes I liked from it. One such recipe, which I have used regularly at Christmas time, was ‘Rum Butter Tarts’ by the late Michael Smith – this recipe was in an article he had written for the magazine which also included, he claimed, was the Royal Family’s’ favourite Christmas Pudding recipe. I can still see the photograph that accompanied the article – it was a small snowman with a tartan scarf and smartie buttons! These little tarts were based on a rum butter mixture with apricots and make a great alternative to mince pies. Sadly this year my folder of recipes has been lost due to an over-enthusiastic clear out of loft! I wonder whether Mike Ratcliffe would be able to provide me and all your other readers with this recipe again or can anyone else help me please? I recently found 3 copies of A la Carte magazine in a local charity shop and they transported me back to another time – another era! The best Savory Walnut Roulade was the most amazing supper/firstcourse dish that I have ever made. This came from A la carte magazine, October 1985!!!!!!! Unfortunately my copy seems to have been lost in moving!! 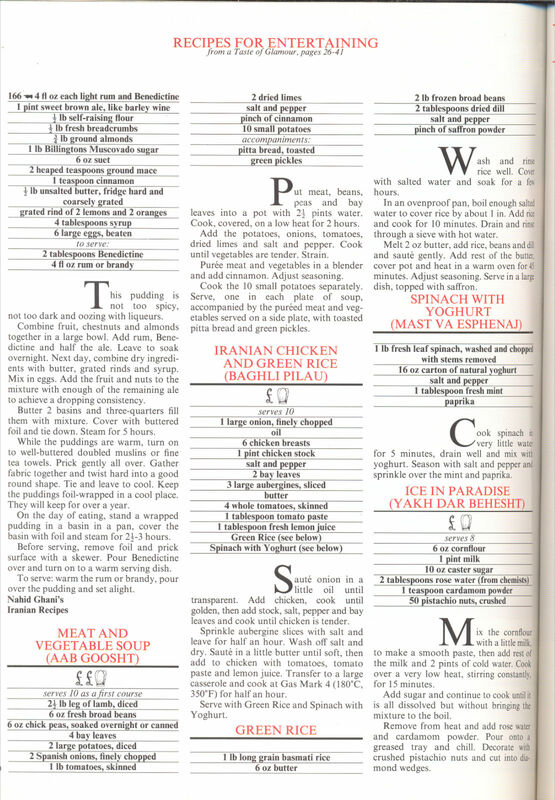 Is there anybody out there, who would have held on to their magazines as I do, and would have this recipe? I would be so delighted if you have. 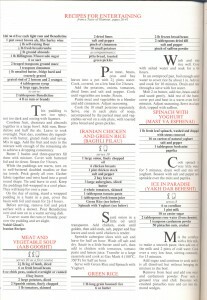 I found this site after searching for weeks online for old a la carte magazine recipes! I hope this site is still up and running. does anyone remember the Tarte au Poire recipe, the photo of it was on the front cover, sorry I don’t remember the date, just the divine flavour of this dessert. Also the Vodka Lemon Meringue Cake? There were so many fantastic recipes in these magazines, salt bloom potatoes, Sunshine Soup which was a heady mix of carrots oranges, cream and sherry. Unfortunately I do not have my magazines any more, but they were part of halcyon days when we didn’t worry about too much butter or cream!! I have set of the a la carte magazines except for one Jun/Jul 1985. I would a love a copy of the boiled beef and carrots recipe from the Jun/Jul 1985 or even better a copy of this particular edition. I had all these magazines and used them regularly. I think they got lost in one of our moves. One recipe I long to get back is a veal stuffed with fettuccine with a green peppercorn sauce….try finding green peppercorns in the 80’s!
. It was fabulous although I might try it with pork now. i miss that mag SO much…! Do any of you careful hoarders have the recipe for a smoked salmon roulade (which used nori as well, if memory servies)? I had that torn-out page for years but it disappeared in a house move and I mourn. I have the book, and it ain’t in there. Fingers crossed… Would love to make it again. PS found the veal stuffed with fettuccine in Sept 85 issue. I loved A la Carte magazine and would love to purchase the issue with the cheesecake recipes. I lent it to my sister in law who misplaced it. Please contact me if you could send me a copy of these recipes or are willing to part with your magazines. Thank you very much! We have all the issues from October 1984 to March 1988 plus the Recipe index from 84 to Sept 86 up for sale at £55. Collection only due to the weight of it . I can send you a copy of the smoked salmon roulade recipe if you still need it, as a photograph. If you would like it, please reply with your email address. Hi. I collected a la Carte. Unfortunately, Were posted overseas, and shipping did not include all of my cookery books which included all of Supercook and Taste! I’m looking for a particular recipe. It’s is a starter and we as a Brioche that included Mushroom Ketchup and I believe Champagne. If anyone has a copy I’d be fore cer grateful. 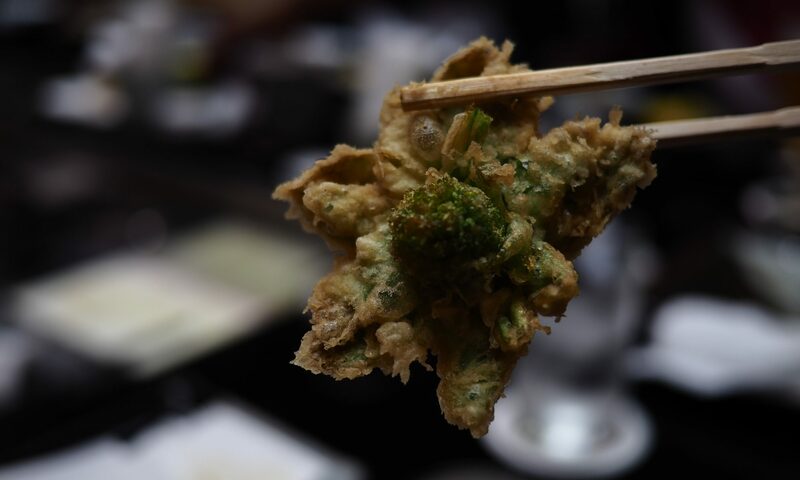 It is a great starter. Thanks. 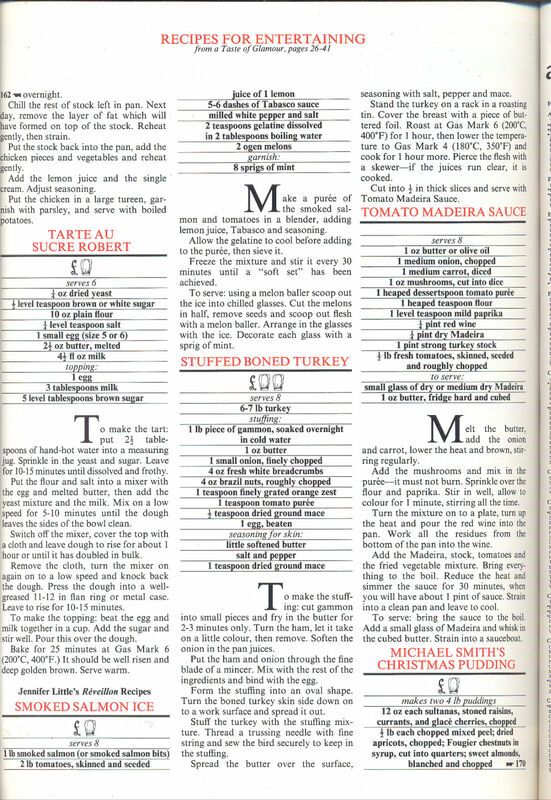 In one of the a la carte magazines from 1980’s was a recipe for ‘Cumberland Chicken’ and I can’t find my copy. I used to make it all the time for pot luck dinners with my friends at work. Does anyone have a copy to send to me. Been looking forward to making it again.